Stuart Dybek is a Chicago writer, through and through. He grew up on Chicago’s South side in the Pilsen and Little Village neighborhoods in the fifties and sixties, and holds graduate degrees from both the Iowa Writers’ Workshop and Loyola University. He is the author of two collections of poetry, “Brass Knuckles,” published in 1979, and “Streets in their Own Ink,” from 2004. 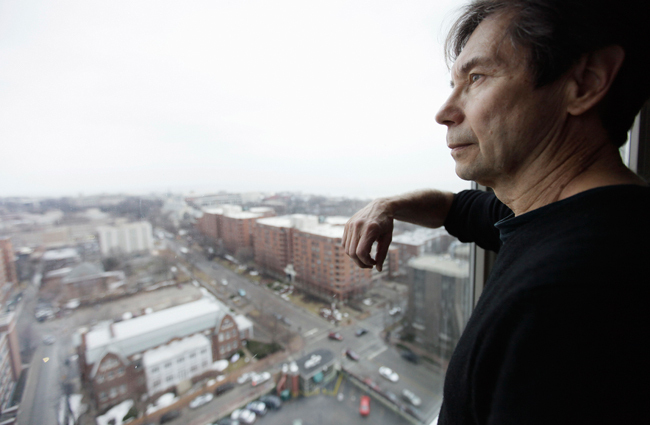 Dybek is best known for his contributions to the short story form. His collections include the “The Coast of Chicago” from 1990 and “I Sailed With Magellan,” from 2003. These collections and the stories within laid out new rules for the short story. Call it flash fiction, call it micro fiction, call it brevity. Dybek is a master. When I called Dybek, he was in the middle of rewriting a piece for Lucky Peach, the themed food and writing quarterly magazine. 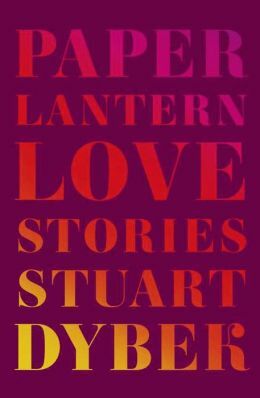 During our chat we discussed flash fiction, the importance of place in his work, and the two collections he has out this June, “Paper Lantern: Love Stories” and “Ecstatic Cahoots: Fifty Stories,” both published by Farrar, Straus and Giroux. You have two story collections being released simultaneously this June. How did that happen? It wasn’t my idea. I thought I had one book now and another next year. Then Jonathan Galassi at FSG said, “Why don’t we just bring them both out at once?” I went with his judgment since I knew it was more deeply informed than mine was, but it did necessitate a pretty busy year. I handed both those books in fully intending to rewrite them, so I found myself rewriting two instead of just one at a time. Because there was some overlap, the first thing was deciding what pieces went into where. It was easy enough with the short ones, they certainly didn’t belong in there with those longer stories, but there were a couple stories that were of a length that would have fit the other book. Basically the decision was made on some instinctive gut level, what felt right. The stories in both span a very large segment of your career, but some are new. Were there stories that you wrote with these collections in mind? At my heart I am a writer of place. I organized three books around Chicago; one of them even had Chicago in the title. But while I wrote books with Chicago as an organizing principle, I’ve also liked books organized around a thematic or narrative principle. For instance, I’ve written several stories set around Christmas time. Though I never have any intention of writing a “Christmas book,” the notion I could write a book like that interests me. So the thematic idea that I had in mind for years was a book of love stories in the broadest sense of the word. The stories would define what that term meant in the context of the book. So stories that may have fit into other books I held aside because I had this other idea that became the book “Paper Lantern.” When I began to get closer to finishing the design of it, I began writing stories in that direction, but some of the earlier ones just came out that way. I had the same urge with “Ecstatic Cahoots.” All the way back to high school, I’ve written these little tiny pieces. Nobody was calling them flash fiction. For a long time you could only publish them in poetry magazines, where people considered them as prose poems. But “Ecstatic Cahoots” was something that I’ve wanted to do over many, many years. So in that book the defining element was form. I wanted to ask you about that, because you’ve mentioned that transition with flash fiction before. Is it just semantics, us just changing the name, or do you think our perception of the form has changed? People have been making up all sorts of clever titles for it ever since it’s come into vogue. I have friends who write both and would argue it both ways, but let me try to give you a unified answer. One of the things that interests me about the form is that it exists with a foot in each camp, in a kind of no man’s land. Reader expectations aren’t as established as they are in poetry or in fiction and you’ve got room to move around. One of the ways that writers have approached flash fiction is that they resolve what they’re doing in terms of the lyrical mode, the mode we most identify with poetry, even though poetry can be narrative, dramatic or expository. So that’s where the overlap between the prose poem and the short short occurs. Not in every writer, but in a lot of my own personal favorites though. Somebody like Calvino, somebody like Kawabata. They’re using the techniques of poetry to tell a story. For me, some of the best ones are little laboratories of prose poem rhythm. I don’t mean to say that a longer novel cannot have it, but it becomes evident in that short space what you’re doing with sentence rhythm. Even more important is that many of these pieces are image-centered, just the way poems are. If you read anthologies of these pieces you’ll see titles that are objects. Ice. Rain. The exception are stories that rely on voice and when a writer relies on voice, image isn’t as strong. But what intrigues me most about your question is the way you ended it. I do think that there’s been a change in perception. It’s a generalization that I think is safe to make. What that change is, that’s something we might have a debate about, but without defining it I do think so. And one of the things I like about that is that when you have a change of perception, what’s behind it is that people have asked themselves, “Is this a story?” If the answer is yes, then what that means is there is a change of perception to what we admit is a story. Beyond that we’re talking about a long article. I’ve started a few myself without finishing them because they dovetail with many other things. For example, the idea of fragmentation that comes out of modernism and postmodernism figures strongly in what’s going on in flash fiction. But at the heart of the prose poem was the urge to redefine poetry. There still is in certain flash-fiction writers, Lydia Davis comes to mind, who desire to redefine what a story might be. Stuart Dybek receives the Harold Washington Literary Award on June 5 (Newcity editor Brian Hieggelke was on the selection committee) and reads at the Printers Row Lit Fest June 7.